DJ Rasp is a winner by any measure. He recently performed on the V7 at the Numark stand at BPM2010 and has won or been a finalist at numerous DJ competitions. 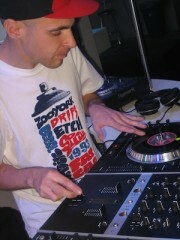 DJ Rasp is well known for his residences, battle skills and b-boy parties within the UK. Recently, videos have lit up the web of Rasp’s sharp skills on a pair of V7s and a X5. Born in St. Helens, Merseyside and influenced by hip hop and turntable crews, DJ Rasp started working with records and experimented with scratching in 1996. After a couple years of house parties, mix-tapes and practicing, DJ Rasp began competing on the battle circuit. 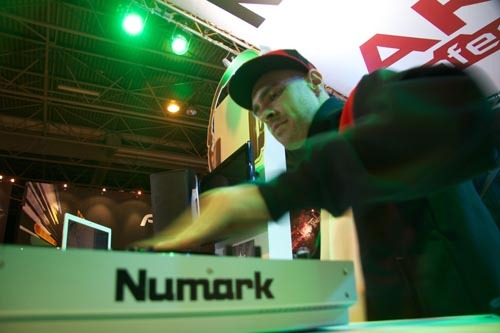 Now a veteran within the DMC & ITF competitions, DJ Rasp has reached finals on numerous occasions, ultimately becoming the 2009 UK IDA & DMC Battle for Supremacy Champion. Utilizing his proven skills, DJ Rasp can be found playing gigs all over the UK working with groups such as The Shakti, The Punning Clan, Random Era and The Elementals. "“The V7 looks, feels and performs more like vinyl than any digital rig I've ever tried.”"